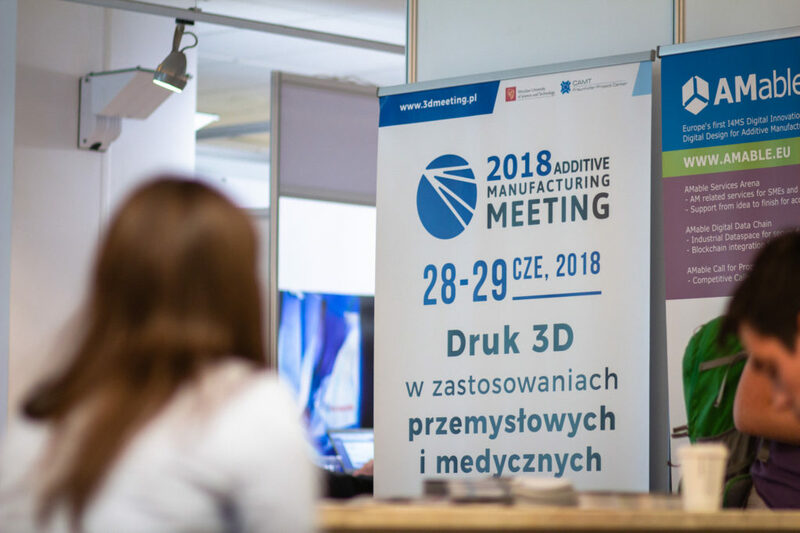 The second edition of the 3D Printing Users’ Seminar – AMM 2018 was held on June 28-29 at the Congress Center of Wrocław University of Science and Technology. The main goal of the event is to create a platform of knowledge and exchanging experience as well as to support the qualitative development at the national and regional level of additive manufacturing technology industry. During the two-day event, participants had the opportunity to familiarize themselves with all aspects of additive manufacturing (AM), both from the perspective of process preparation and optimization of manufacturing parameters, as well as from the point of view of their applicability in different industries, including aerospace, medicine and the automotive industry. 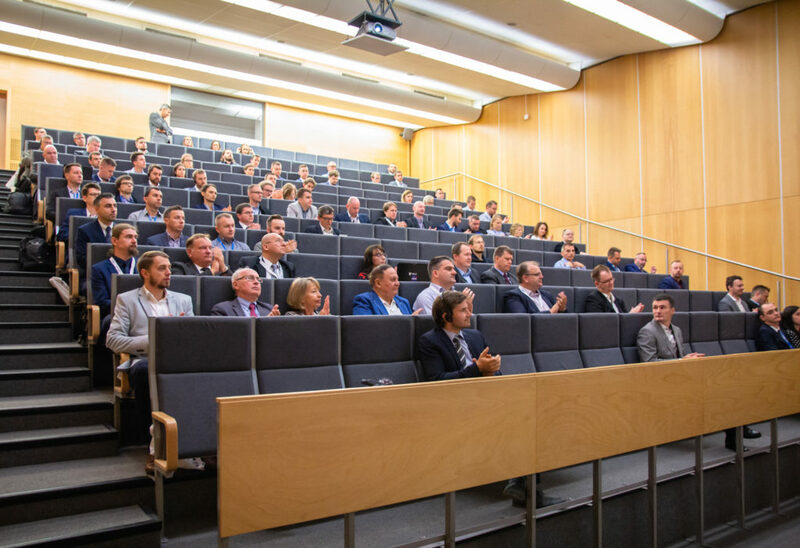 As part of the first session, prof. Tomasz Nowakowski and prof. Bogdan Dybała presented the Faculty of Mechanical Engineering and Center of Advanced Manufacturing Technologies (CAMT-FPC) and role of those organizations in development of polish AM technology market. 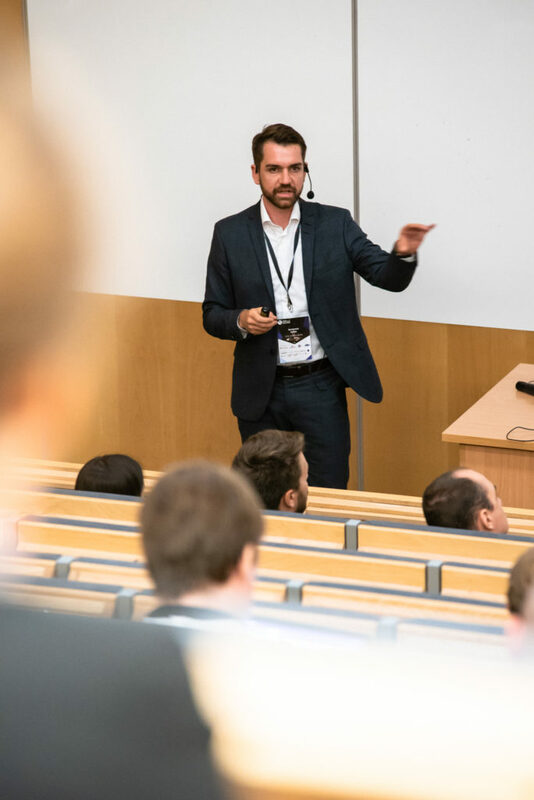 The opening lecture was delivered by prof. Frank Brückner (Fraunhofer IWS, Germany), during which he presented key issues regarding AM from the material side and from the control side of process parameters, especially in the area of ​​methods from the “powder bed fusion” group. In his lecture he discussed the potential and scope of application of AM technologies as well as limitations of their implementation in the industry. Dr. Grzegorz Ziółkowski (PWr, CAMT-FPC, Poland) presented lecture related to the use of non-destructive measurement method (technical computed tomography, CT), for quality control at every stage of additive manufacturing (AM) production, starting with control of material’ batch, through assessment of impact of process parameters selection, as well as inspection of final products and their qualifications for use. Talks presented in the next session entitled “Additive Manufacturing Implementation” were focused on the aspects of implementing AM technologies in the industry. The representative of EOS and Additive Minds, Mr. Benjamin Haller (Germany), talked about the first factory, which was created in accordance with the objectives of Industry 4.0, in which parts for the automotive and aviation industry will be produced in parallel. Next, Mr. Aleksander Banaś, from the company PZL Mielec – Sikorsky Company (Poland), presented key achievements obtained in the framework of AMpHOra project (NCBiR, INNOLOT), where one of the main partners is CAMT-FPC laboratory operating at the Wrocław University of Science and Technology. As a result of the project, the selected aircraft parts have been adapted to processing in AM technologies, in order to be able to meet the requirements and to pass the certification process. In turn, dr. Marek Pawlicki (Pratt&Whitney Kalisz, Poland) talked about the history of aircraft engines development and the main advantages of engines manufactured by Pratt&Whitney, referring to the project: “Working on innovative technology for the production of geometrically complex, thin-walled aircraft engine components based on nickel alloys” InnsLOT whose beneficiary is Pratt&Whitney Kalisz, and the main contractor – Wrocław University of Technology – CAMT-FPC unit. At the end of the session, Mr. Michael O’Sullivan (University of Limerick, Ireland) presented one of the methods of product development, based on a mathematical model (Kano Model), the use of which allows significantly reduce losses when developing new market characteristics of products. During the next session “Analysis and Simulations“, Mr. Michele Pereme talked about Simufact solution, which is supporting the process parameters selection and enabling the development of the products’ optimal geometry. 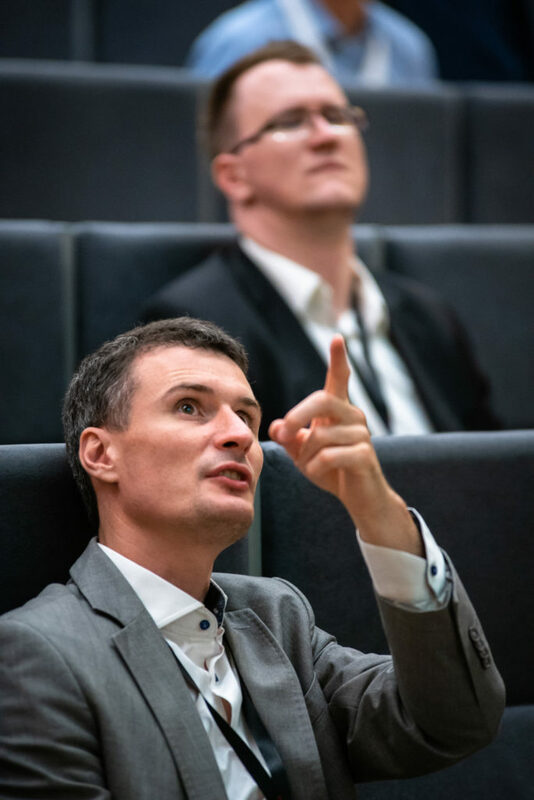 Mr. Paweł Sadowski, DES ART and dr. Marcin Wierszycki, BudSoft / Dassault Systemes during their talks presented different solutions for topological optimization. 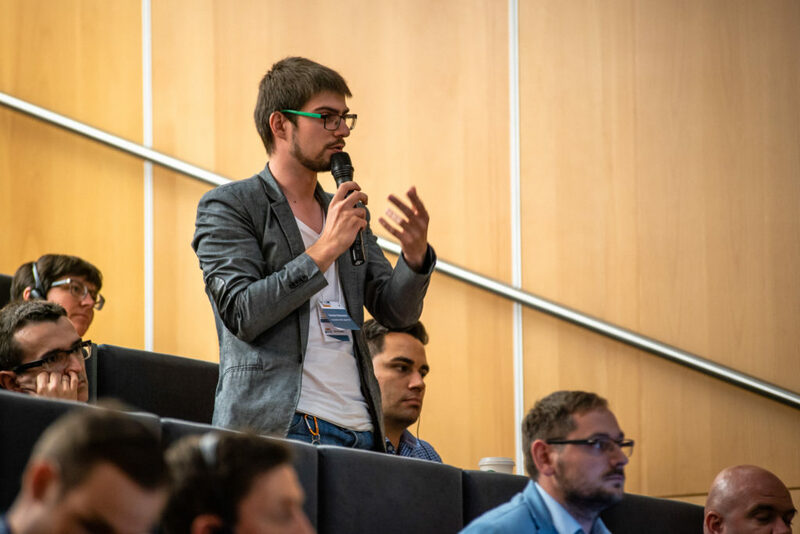 Mr. Krystian Pawełczyk, 3YOURMIND during his talk introduced participants with specialized IT platforms that support comprehensively the manufacturing process in AM technologies – covering the entire product life cycle, from the creation of the project to the “printed” part. 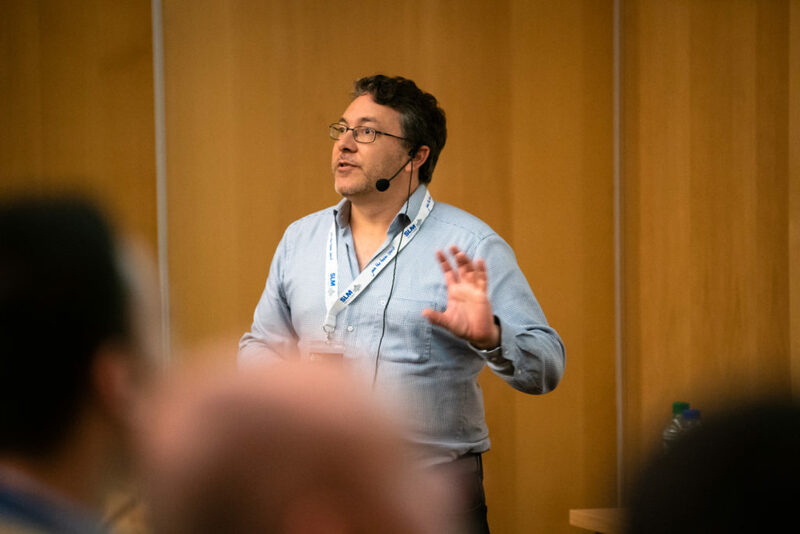 As part of the next session entitled “Laser Technologies in Additive Manufacturing“, Mr. Cristophe Bertez from Air Liquide (France) presented issues related to the selection of shielding gases and their impact on the quality of components produced in the SLM process. In turn, Mr. Piotr Bagiński (TRUMPF, Poland) presented the application potential of laser technologies in the energy industry. 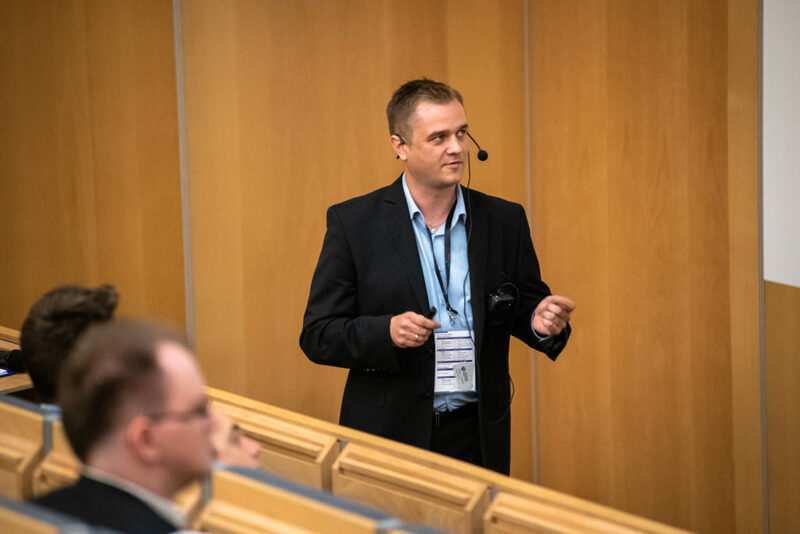 The speaker from CAMdivision, Michał Krzysztoporski, presented a case study, prepared with the participation of the CAMT-FPC unit, regarding the use of NX System software and hybrid manufacturing systems (Laser Cladding + CNC) for tool making. 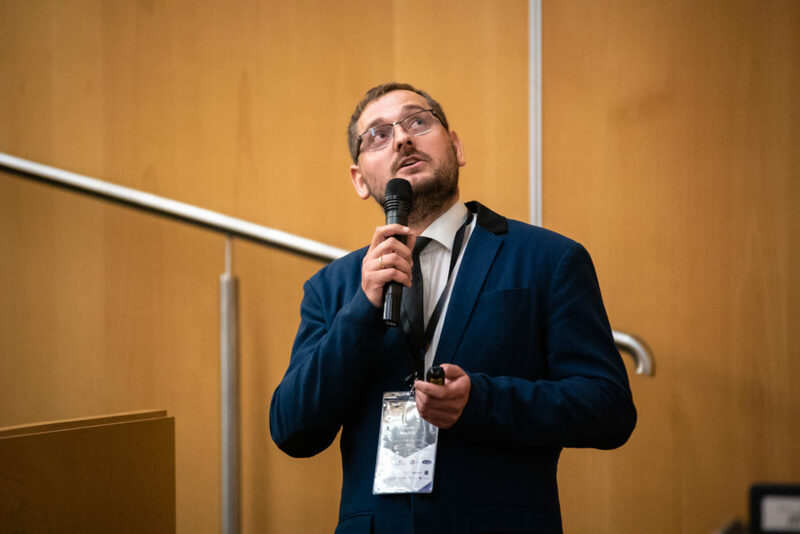 Following, Mr. Andrzej Zakręcki from the AGH University of Science and Technology in Krakow presented issues related to regeneration of turbine blades. Those results were developed with the participation of many partners, both academic and industrial. The first day of the event ended with a visit to the CAMT-FPC laboratory and a networking session during a boat cruise by the Odra river. The second day of the AMM 2018 began with workshops run by the event’ Partners. Participants had a choice of three issues related to: (1) using and servicing desktop SLS systems (conducted by Bibus Menos); (2) the method of scanning as a Reverse Engineering tool (conducted by Sondasys) and (3) the use of SLM technology for serial production in the industry (conducted by Wadim Plast). Then, during the session entitled: “Cooperation of Science and Business“, the participants got acquainted with the possibilities of cooperation with both international consortia as part of Interreg Synergy and Interreg TRANS3net projects, as well as with the Wrocław University of Science and Technology during the presentation of a representative of the Center for Science and Technology Transfer (CWiNTu). The next session on biomedical issues (“Biomedical Applications“) enjoyed high attendance and an extremely interesting lecture given by prof. Paul Dalton from the University of Würzburg (Germany). Professor Dalton spoke about the possibilities of producing biomedical structures in a microscale using a device that was developed by a consortium of research units from Germany, Australia and the United States. Also during this session the possibilities of manufacturing dental implants using SLM systems (Philip Oris, SLM Solutions, Germany) and issues concerning the production of personalized animal implants (Bartłomiej Wysocki, Materialscare, Poland) were presented. The end of the second day and the entire AMM event was the session entitled: “Novel Applications“, during which Mr. Peter Schneider from Lithoz (Austria) talked about systems for AM production using ceramic materials. In turn, Mr. Maciej Patrzałek (Sondasys, Poland) presented the first Polish industrial device operating in SLS technology. Then Mr. Konrad Kordas (New Era Materials, Poland) talked about the possibilities of using SLS technology as an indirect method for the production of composite structures for the automotive industry. On the other hand, Mr. Christian Wögerer (Profactor, Austria) talked about the possibilities of using a robotic arm for customizing the surface of products (marking) using the FFF technology. 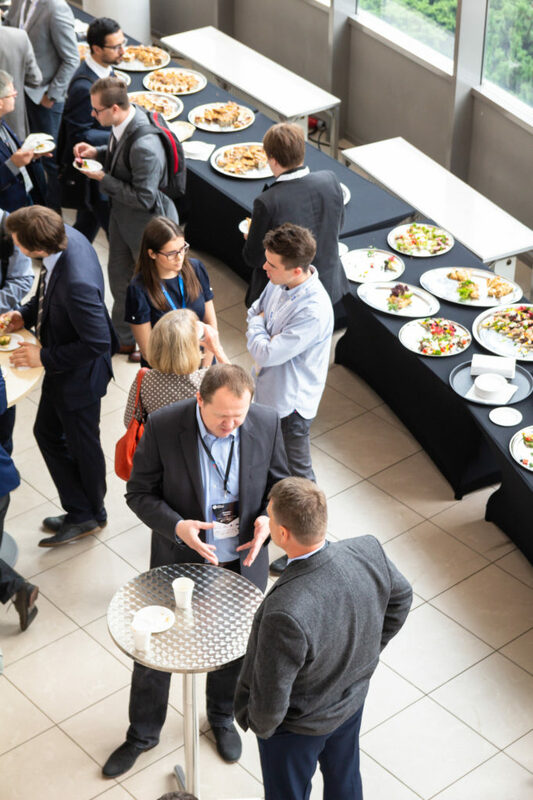 Finally, it is worth emphasizing once again that the goal of the AMM event is peer-to-peer education of AM community and the opportunity to exchange knowledge and experience between representatives of research units and industrial partners. AMM participants emphasize that during the AMM event, they have the opportunity to familiarize themselves with the aspects of implementing this technology for industrial applications and with possible problems and limitations. 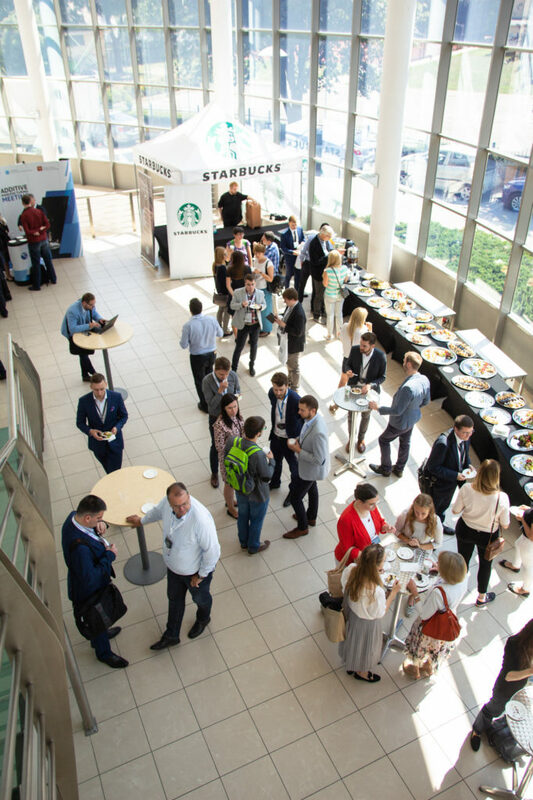 The second most valuable aspect of the AMM, according to the participants, is the networking and the opportunity to find partners among representatives of universities or research units as well as among representatives of the industry and the AM technologies industry. The next edition of AMM will take place on September 18-19, 2019. Details of the event will be published soon on our website. We invite you to follow our fanpages (facebook, LinkedIn).